Wrexham will be ruling itself out as a possible option to become a nuclear waste dump, with the First Minister making it clear if no local authority comes forward then there will be no disposal sites in Wales. Those who are following our new more in-depth coverage from Cardiff Bay will have seen the issue of nuclear waste being dumped raised in the Senedd chamber itself, where we pointed out Wrexham could explicitly opt out. Today Council Leader Mark Pritchard told us there will be a report coming before the Executive Board, and then Full Council to state firmly Wrexham will not allow nuclear waste to be dumped inside it. Cllr Pritchard said, “We did not want to announce it before the report came through, however there will be reports coming forward to the Executive Board and then on to Full Council. I will be presenting the report myself. 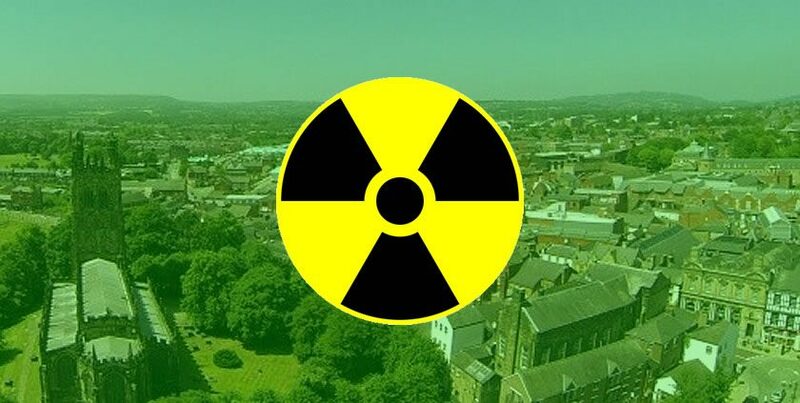 Leader of Wrexham Labour Group Dana Davies told this evening: “The Labour Group do not support a proposal for a nuclear waste geological disposal facility in Wrexham County. “Our proud history of coal mining would compromise the ability to seal in any radioactivity with the huge underground network of old interlinked mining tunnels and moreover any exploration in the future would mean a facility of this nature is most likely to be disrupted. Top pic: Years of watching The Simpsons has educated us to knowing how Wrexham would look if nuclear waste was infact dumped in Wrexham.